Who doesn't love some good tattoo inspo? As someone with over 20 tattoos of her own, Ariana Grande is definitely an icon to look to. 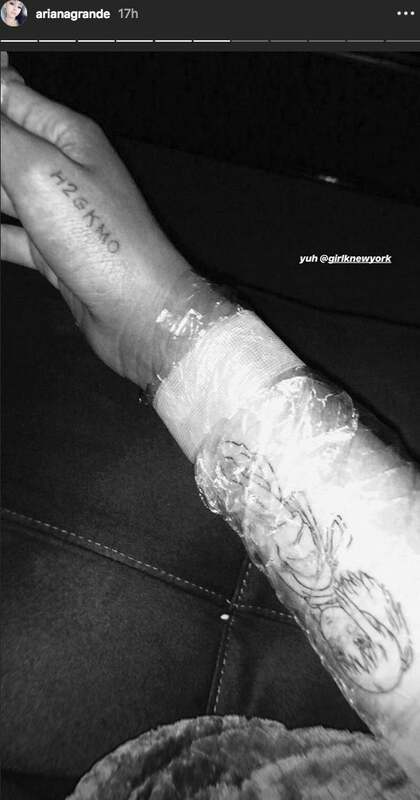 Recently, Grande took to Instagram to share images of her latest addition, a forearm-sized tattoo of Chihiro from Miyazaki's Spirited Away, which happens to be one of fiancé Pete Davidson's favorite movies and her biggest ink yet. Grande also revealed that the character holds a lot of personal meaning as well, representing the growth she's experienced in the past year. "Chihiro's growth into a capable individual is a core factor to the movement of Spirited Away's plot. 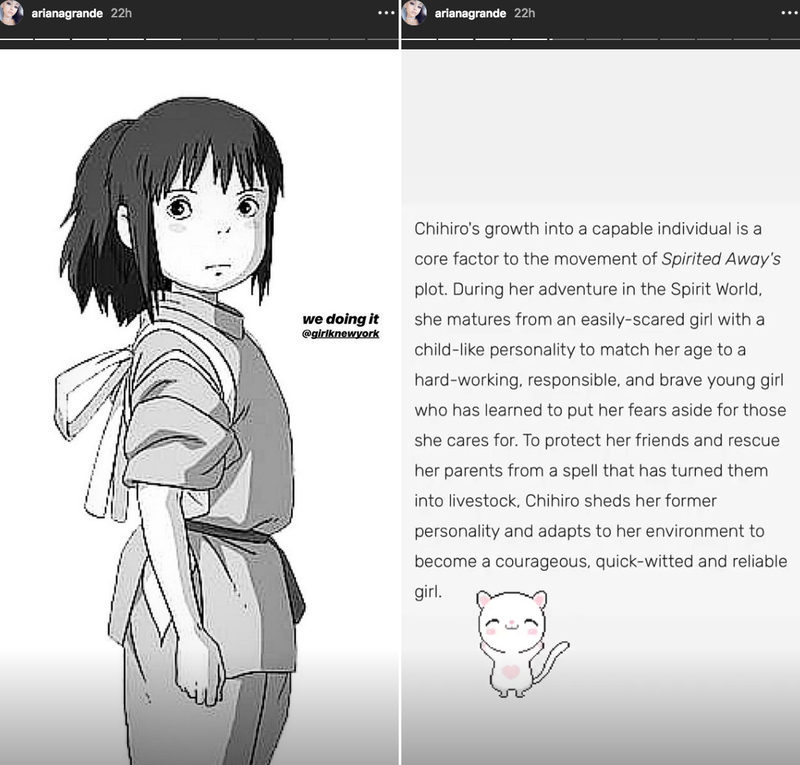 During her adventure in the Spirit World, she matures from an easily-scared girl with a child-like personality to match her age to a hard-working, responsible, and brave young girl who has learned to put her fears aside for those she cares for," Grande wrote in her Instagram story. "To protect her friends and rescue her parents from a spell that has turned them into livestock, Chihiro sheds her former personality and adapts to her environment to become a courageous, quick-witted and reliable girl." While this is quite a departure from the dainty tattoos the singer usually favors, we're so here for a celebrity that can show some anime love.